Renault will build two of its new range of four electric cars in France and Spain, the French automaker said. 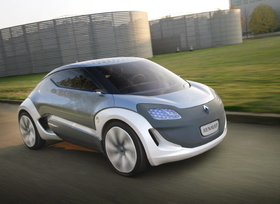 The company will produce its core-range electric model, a minicar, in its Flins plant, near Paris, starting in 2012. Flins will build a production version of the Zoe Z.E. concept unveiled at the Frankfurt auto show in September. 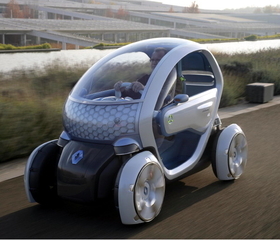 The concept is a four-seat minicar intended to be used for short daily journeys in urban areas. The Flins site will also manufacture and recycle electric car batteries. The Valladolid factory, which produces the Modus and some Clio versions, has been chosen due to its expertise in producing small cars, Renault said in a statement. Flins builds the Clio and Campus subcompacts and was selected on the same basis. "Both decisions were also founded upon Renault's objective of producing vehicles as close as possible to the markets in which they will be sold, namely Europe, in order to optimize logistical flows," the statement said. Renault unveiled the Zoe Z.E. and Twizy Z.E. concepts in Frankfurt along with electric versions of its Fluence sedan and Kangoo car-derived van.